12 days with a local guide. 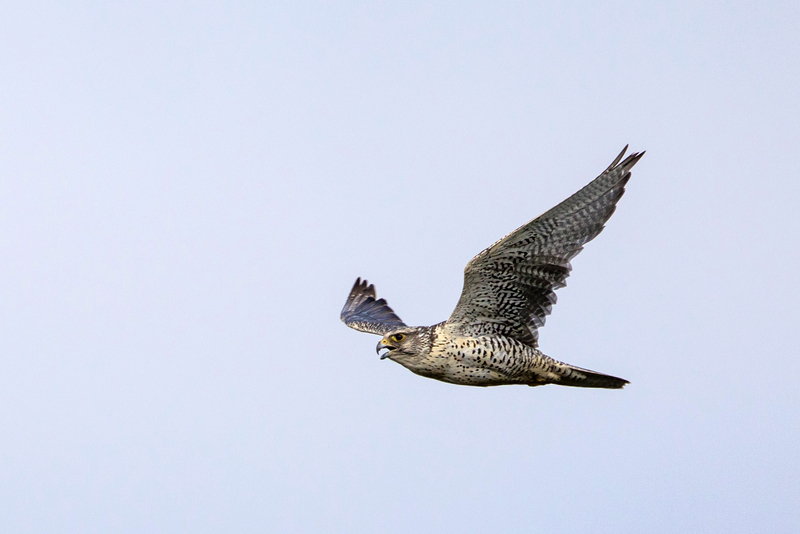 Iceland is marvellous for birdwatchers. Not only because of the birds, but also because of the variety in landscape and nature. The volcanic landscape and location of Iceland make a visit to it a kind of adventure. 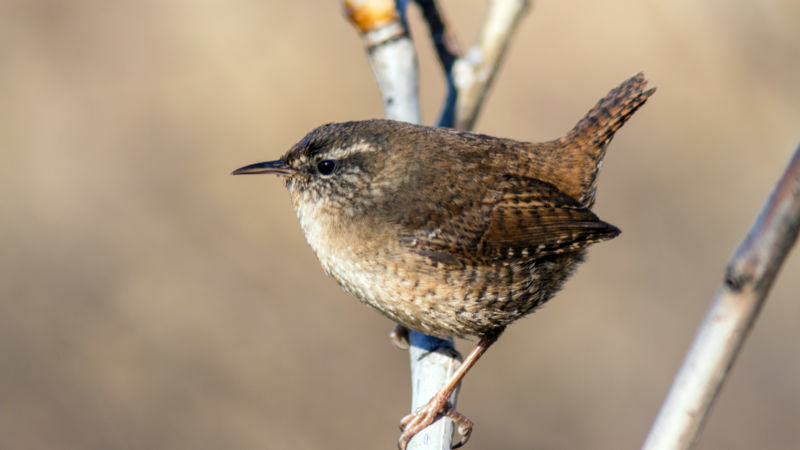 On this birdwatching tour, we will literally travel around the country, which also provides a great opportunity to explore the country itself accompanied by an expert guide. Day 1 – Arrival and beginning of the journey. We welcome you at the International Airport and set off for the tour. 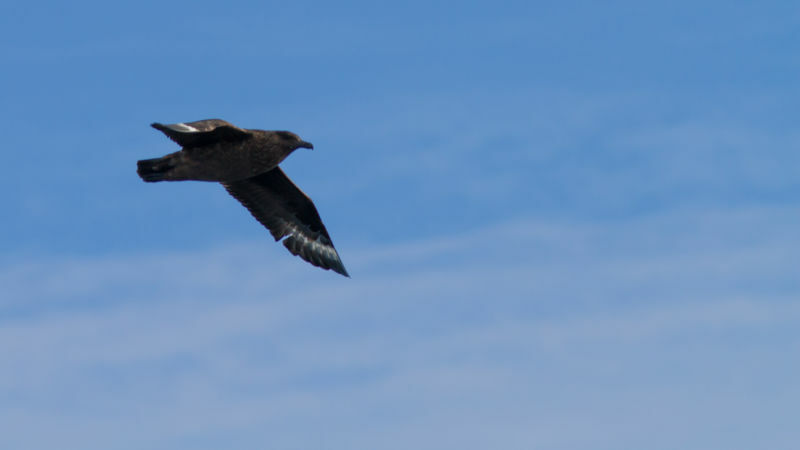 From Keflavík we will have sightseeing on Reykjanes peninsula to get first touch with Iceland’s birds and landscape. After a while, we head to the western region and reach Borgarnes, where we overnight. Today, we explore Snæfellsnes peninsula which has rich diversity of habitats. With shoreline, cliffs, lakes, rivers, wetland and various vegetation. Such a day might give us good number of species in various landscape. We also travel around the glacier (Snæfellsnesjökull) which is the core of Snæfellsnes National Park. Overnight in Grundarfjörður. In the morning we reach Stykkishólmur and we departure for a sea tour, sailing around Breiðafjörður‘s innumerable islands. The area provides great birdlife. 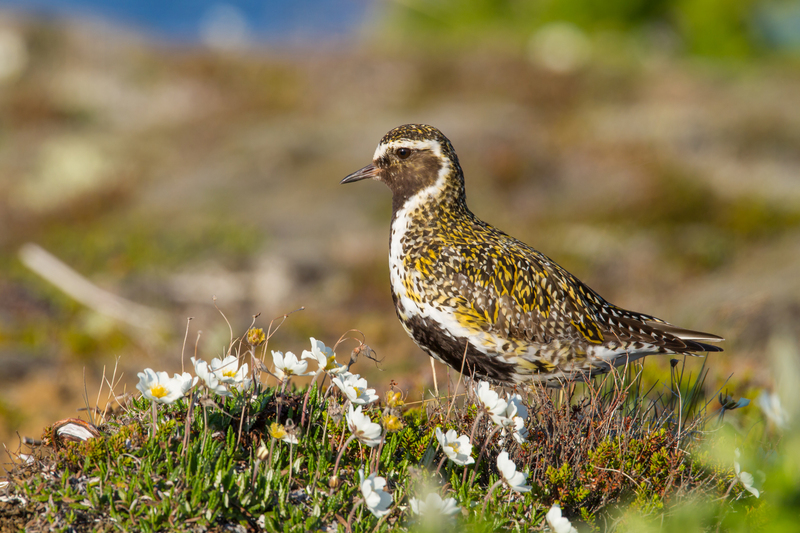 We then head to the northwestern region and start follow ing the “Birding Trail of North Iceland”. 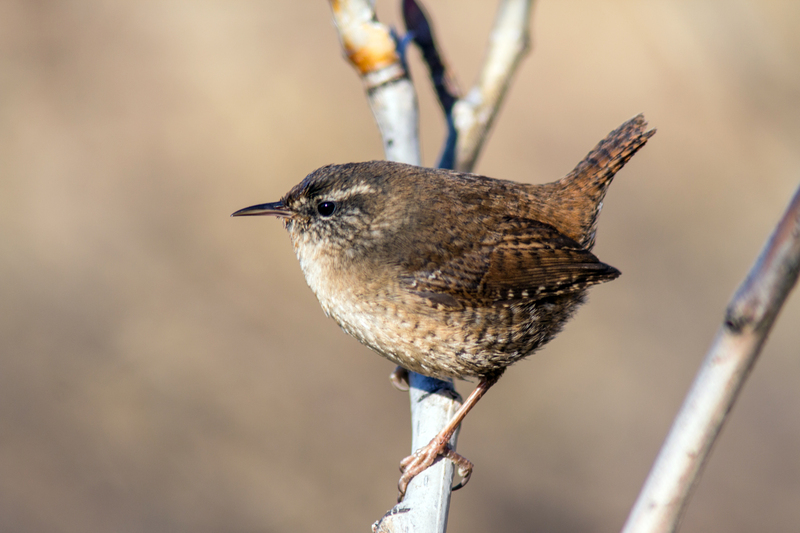 The rich bird life of the North, distributed over widely varying habitats, displays a diversity seldom surpassed in Iceland. Overnight in Hvammstangi. We start the day by having sightseeing in Skagafjörður, with views to wetlands, ponds and rivers, in combination with mountains and further out to the fjord. 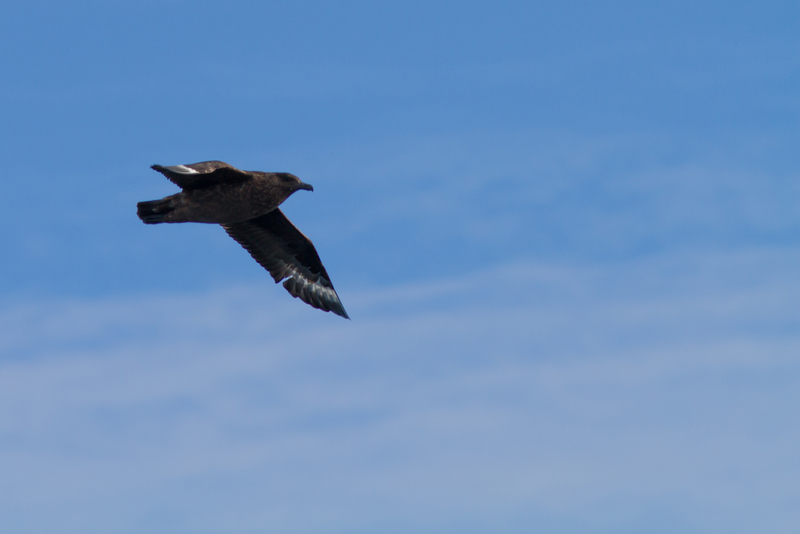 Next, we move to Eyjafjörður area which offers a range of birdwatching locations. Last phase of the day is to drive to Húsavík with stops en-route such as by the lake Ljósavatn and at the scenic waterfall Goðafoss. Check in at the hotel in Húsavík, where we spend 3 nights. Today we focus on the bay of Skjálfandaflói as well as the community of Húsavík and adjacent rural areas. We begin the tour at 8:00a.m. in the morning by exploring the harbour and surroundings, as well as the lower regions of the nearby Laxá river and selected ponds and lakes, such as Kaldbakstjarnir, an area frequented i.a. by bird species such as the Great Northern Diver. 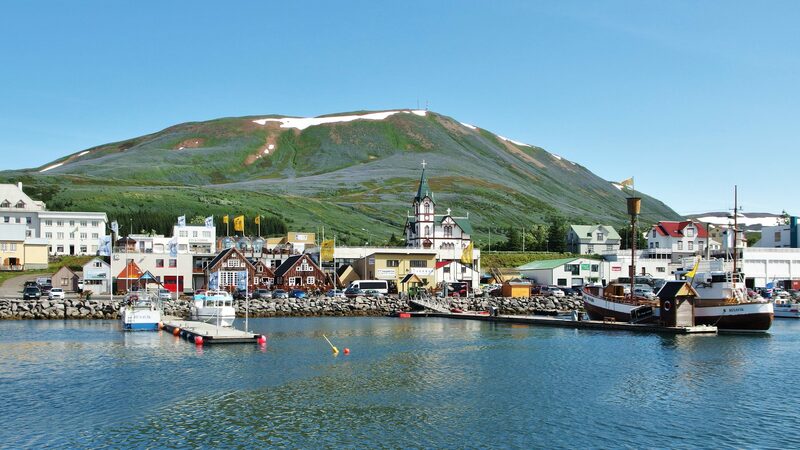 We then take a few hours break that allows you to enjoy what Húsavík has to offer, beside birds (restaurants, museums, the garden and the church). We meet again at 4:00p.m. 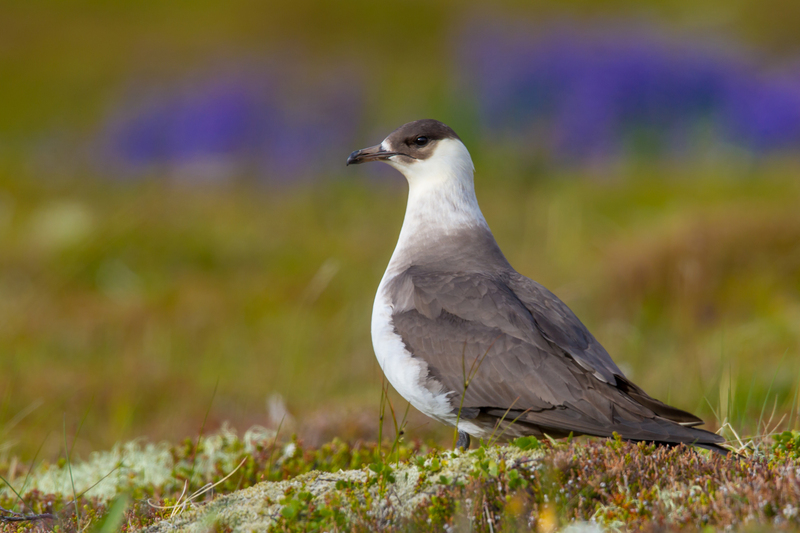 for the second part of the program, which features a boat tour in the bay of Skjálfandi, including a visit to Flatey island, renowned for its rich variety of bird species. Thus, it is normally the home of more than 30 different bird species during the nesting season. 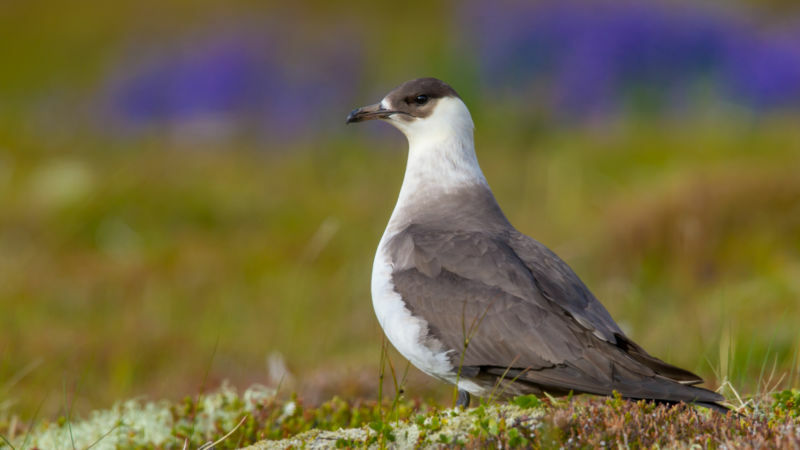 Species such as the Arctic Tern and Puffin are there in vast numbers. They can often be observed at close quarters. Hence, this is a unique opportunity to experience the marvels of nature. In our travels, we might even be treated to the delight of whale watching. In Flatey we enjoy a light dinner meal before getting back to land at 9:00p.m. or a bit later. Second overnight in Húsavík. 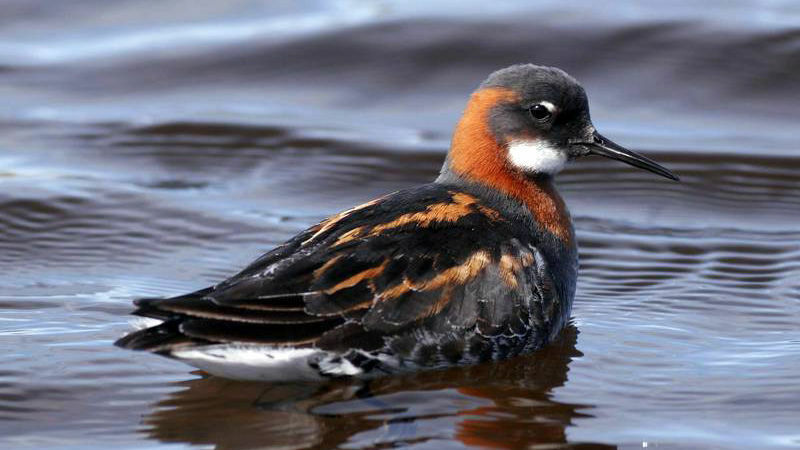 The Lake Mývatn region is renowned for its incredibly rich birdlife, which makes it a paradise for birdwatchers. 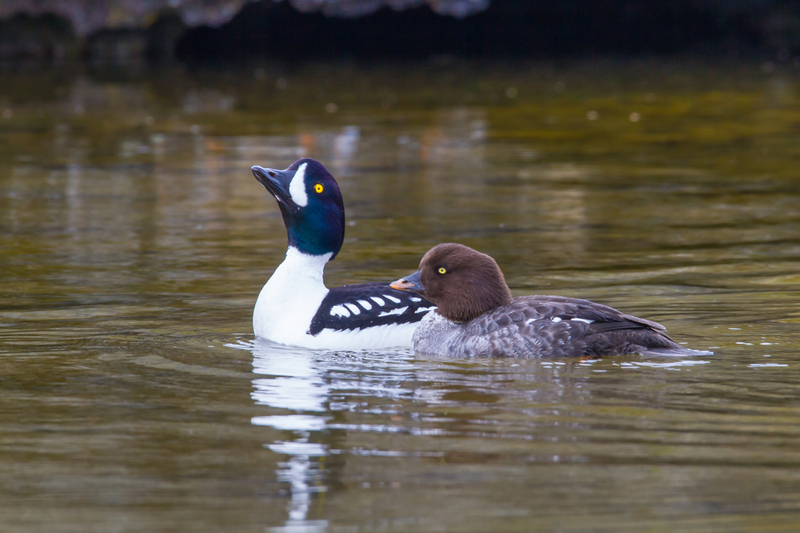 At the lake, we will find the home to more species of nesting ducks than you would find at any other single area on earth. The Mývatn area boasts e.g. 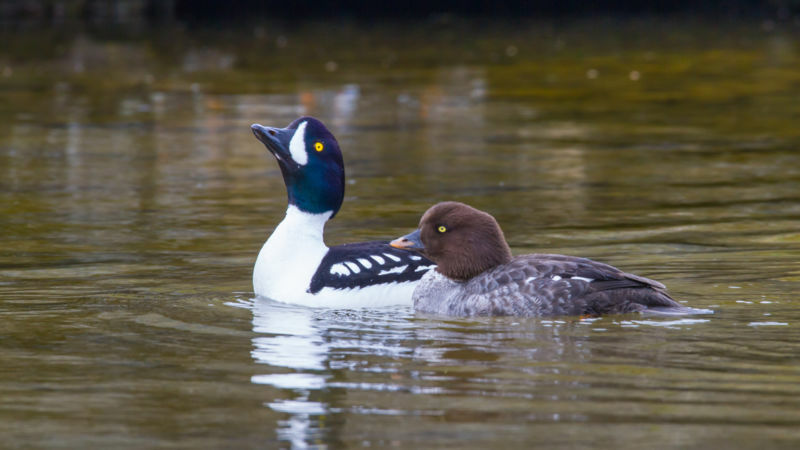 of almost all the ducks of the species known as Barrow’s Goldeneye, found in any European country, as well as substantial numbers of the Harlequin Duck species. 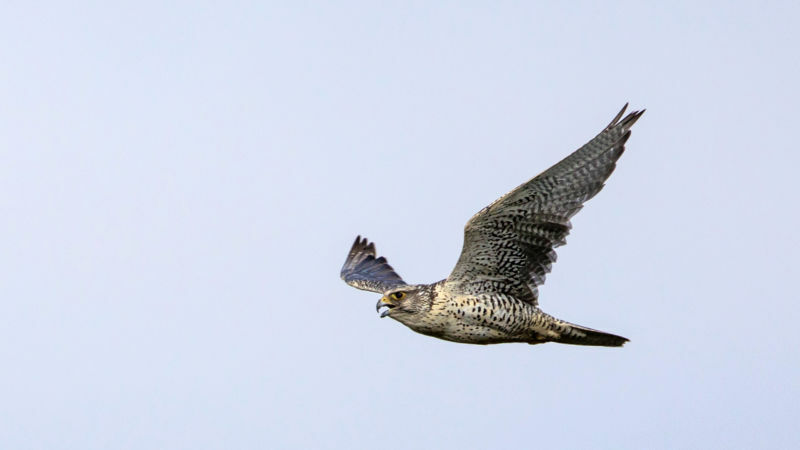 This area is also well known for its large populations of Gyr Falcons. This day features a drive around the lake, stops at selected locations, but the tour also includes other points of interest, such as the river Laxá, ponds and marshes as well as intriguing lava fields and formations. Iceland is located on the Mid-Atlantic Ridge and the Mývatn region is situated in its zone of volcanic and geothermal activity, which demonstrates this fact very well. Bird watching in this area thus focuses not only on observing a variety of bird species, learning about biology, and experiencing local culture, but it also shows a delightful variety of scenery, landscape and nature. 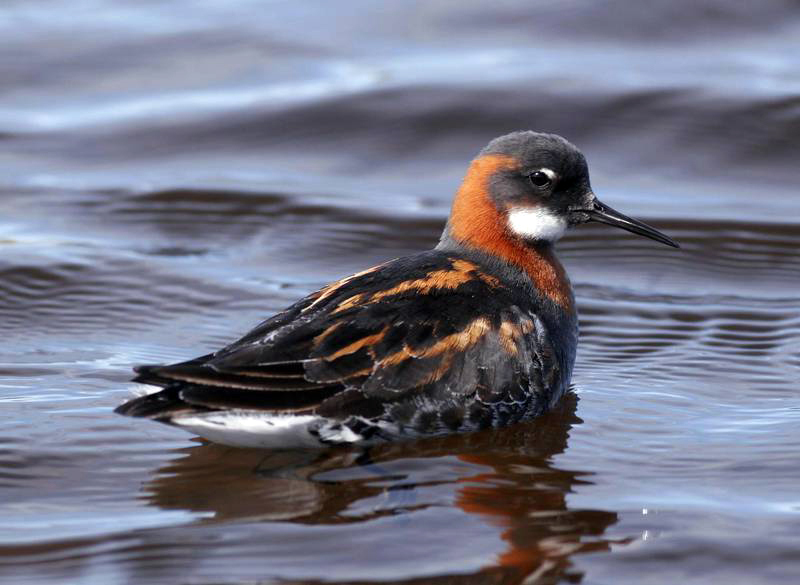 The Mývatn day tour of birdwatching is designed for people with various levels of interest in bird life. Weather permitting, photographic opportunities are abundant, both in terms of bird life and geology. Third overnight in Húsavík. Today we focus on three districts in Northeast Iceland: Melrakkaslétta, Kelduhverfi and Tjörnes. 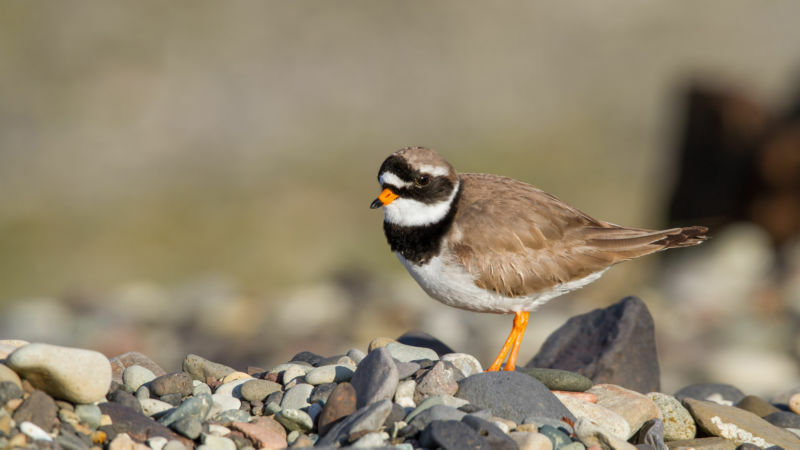 This day offers variety in terms of bird life, scenery and local topography. In the course of the day, we shall be stopping at various sites of interest in order to explore them further and/or we will be using them as stepping stones to explore other more distant and less accessible but noteworthy sites. of Red-throated Divers in Iceland. Overnight in Raufarhöfn. Today we head straight to Langanes, the narrow peninsula, situated between Thistilfjörður and Bakkaflói, shaped like a bird with a large head. Langanes has quite a rich birdlife and very good shorebased observation points for watching bird species such as Guillemots (incl. Brünnichs Guillemot), Razorbills, Puffins and Gannets. This area is about as wild as coastal Iceland gets, perfect for exploration off the beaten track. A rough road leads to Fontur, the tip of the peninsula, and along the sides of the road there are the nesting grounds of Purple Sandpipers and Snow Buntings. Out on the peninsula, the cliffs are steep, but fairly accessible and at times in such proximity that the birds are in clear viewing range. The curved shoreline at this point offers a good opportunity for photographers to hone their skills. A trip to the outlying peninsula is an unforgettable adventure, where you drive by remains of ancient farms. Below Skoruvík cliffs, there is the rock column known as Stóri (i.e. big) Karl (Charles), which constitutes one of Iceland’s most accessible Gannet colonies. During the so-called puffin season (till mid August), this is a grand site for Puffin observation. Overnight in Vopnafjörður. We expect a long drive today, all across thee eastern area of Iceland. 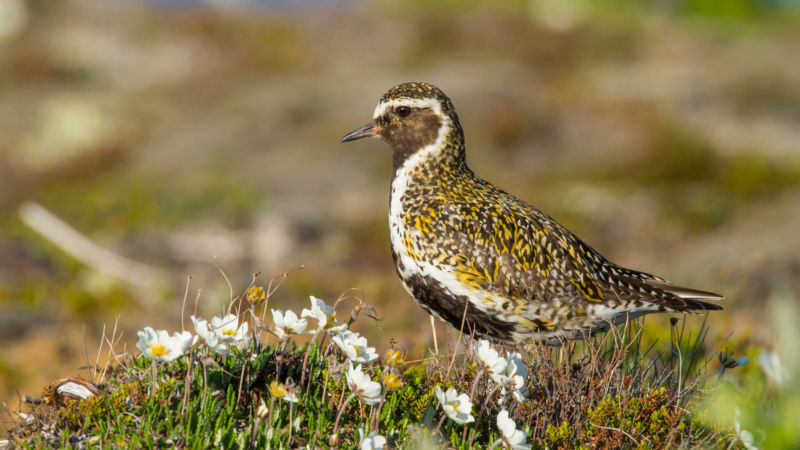 Several birding opportunities will present on the way, highlight spots being Lagarfljót lake and Djúpivogur and its surroundings. In particular, the southeastern village probably is the most exciting location for birdwatching in this part of the country. The final destination of the day, Höfn, might also offer some interesting chances. Overnight in Höfn. Today we cover a section which, compared to what we have seen so far, might be less interesting under the birding point of view. 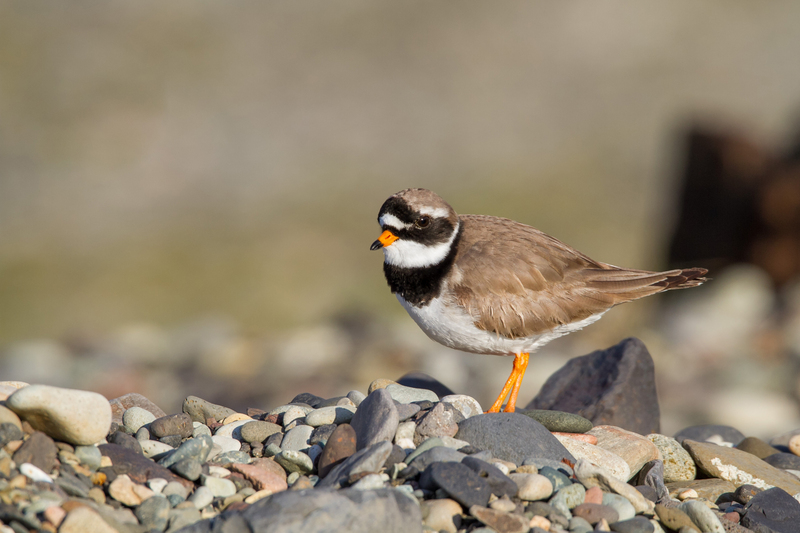 Nonetheless, the black sands offer an unusual location for enjoying birdlife. Also, a series of natural wonders in the area of Vatnajökull glaciar, such as Jökulsárlón lagoon and Skaftafell National Park, will make our day totally worth. Overnight in Vík. Close to Vík we find more nature wonders which, at the same time, present interesting birding opportunities, such as Dyrhólaey promontory, which offer amazing views on the coast and of the glaciers and where Puffins can be spotted. On the way back to Reykjavík, other highlights are the waterfalls, Skógafoss and Seljalandsfoss, while Flói and Selfoss offer the last chances for birdwatching. Overnight in Hveragerði. The program ends in Keflavík. Anyway, depending on the plan of the rest of your journey and depending on your international flight schedule, options might be spending one night in Reykjavík (or in Keflavík) or flying back to your contry in the afternoon. Availability: fixed departure on May 17. On request, private tours available from early May to mid July. Departure point: Keflavík International Airport. 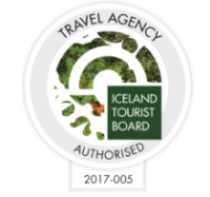 Included: pick up and drop off at Keflavík International Airport, transportation and experienced, English-speaking, birdwatching guide for the duration of the tour, fuel, binoculars, 11 nights in hotel with breakfast (double room accommodation), meals for the duration of the tour. Optional (for extra cost): single room accommodation, extra night in Reykjavík on day 12. Not included: international flights, drinks, anything else not specified as “Included”. Please note: minimum number of participant is 6, maximum number of participant is 12.